All age groups welcome at the restaurant bar tavern port. Cocktails, gourmet coffees, smoothies, aperitifs, liqueurs, soda, beer and Breton pressures. Bavette with shallots specialties, Mussels, shells with cream, scampi, seafood platter order. Suggestion day to day depending on the market. 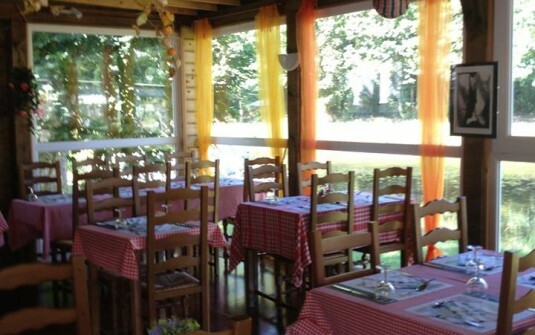 Guinguette family atmosphere, friendly welcome, heated or air conditioned room. And of course you have the opportunity to enjoy our leisure center next to it.